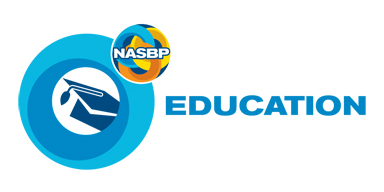 NASBP offers high-quality professional development education programs designed to improve performance and to deliver timely, relevant information and training. Our programs help surety professionals enhance learning through our Surety Schools, Online Courses, Workshops and Virtual Seminar offerings. The William J. Angell Surety Schools offer expert and comprehensive training for surety professionals with varying levels of knowledge and expertise. This prestigious education program provides an opportunity to establish professional relationships with industry peers. NASBP's Virtual Seminars, are an economical and effective way for you and your staff to get up to the moment information on the issues of the day and hear from experts about items critical to your business success -- without anyone having to leave the office. All you need is a computer connection. Or, if multiple people at your location plan to participate, all you need is a computer connected to a projector and screen and enough chairs for everyone to gather around. They are now even easier to access through SuretyLearn, NASBP's new online learning portal. NASBP has created several in-seat workshops designed to give participants in-depth knowledge about such topics as analyzing risk and construction contracts and bonds. NASBP members, affiliates, and associates have access to WebCE's entire library of insurance training at a special discount. Each online course is comprised of several hours of self-study. Participants may take the course at their own pace over a 12-month period. Each course concludes with a final, online exam. You can distinguish yourself as a surety professional who has earned the Associate in Fidelity and Surety Bonding (AFSB) designation. Through the AFSB coursework, you will build a strong foundation of knowledge on topics specific to fidelity and surety bonding that will help you better serve your clients and your employer.